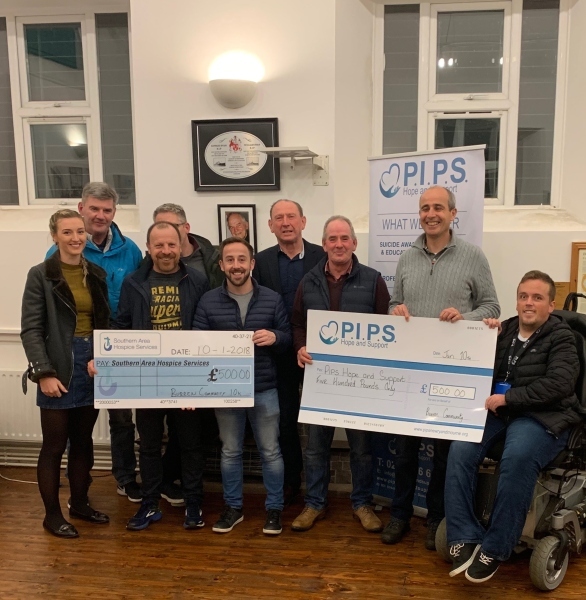 On Thursday 10th January, Burren Community Forum presented PIPS Hope and Support and Southern Area Hospice with proceeds raised from their Annual Boxing Day Townland Run and Walk. Each of the charities were presented with a cheque for £500.00 to support the services they provide on a daily basis to those at most need within the local community. In its 11th year, on December 26th, many local people and athletes took part in the 6/12 Mile Run and Walk to dust of the Christmas festivities and to raise essential funds & awareness for their chosen charities. On a mild Boxing Day morning, there was a fantastic turnout of participants with the organising committee already preparing to organise for 2019. Orla McKay of Burren Townland Walk & Run Committee thanked all those who supported and attended their annual event. "Hard work and time goes into organising this event and we do not take for granted the support and help received on a yearly basis. The committee were delighted to see yet again a fantastic turnout to the event with a range of ages and abilities. As per last year, the committee agreed to have PIPS Hope and Support and Southern Area Hospice which are two very worthy charities which we all hold dearly and who on a daily basis are providing exceptional services to those at most need in the wider community." Orla continued "We wish to thank all of the local businesses who sponsored and donated to the event, their support and recognition was highlighted on the day and through our social media platform., Lastly, we extend our gratitude and appreciation to all those who helped out on the day to include: Marshall's, kitchen helpers, the Rooney family and all those who helped around the course." Padraig Harte, Fundraising Coordinator for PIPS Hope and Support thanked the Burren Townland Committee and all involved for their continued support and generosity. "PIPS Hope and Support take this opportunity to extend our appreciation and thanks to the Burren Townland Committee and all involved for their support and generosity to our Charity. The committee have continued to support us as their chosen charity and we are forever grateful for that. We also wish to thank all those who participated on the day and the kind donations and support from local businesses. Burren Townland Committee are active and triumphant with their efforts making the event bigger and better each year and we send them best wishes for the year ahead. 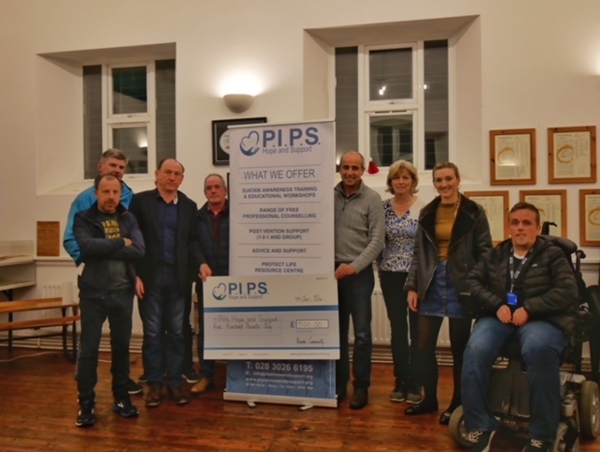 The funds donated to PIPS Hope and Support will go directly to prevention services and support for local families, groups and individuals throughout the southern region."